The Latino Democratic Committee of Orange County held their Eighth Annual Fall Dinner Dance at the Meadowbrook in New Windsor, NY on Saturday, September 24, 2011. 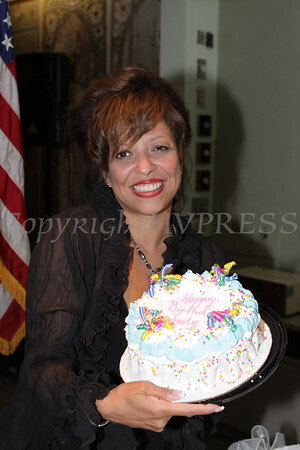 Judy Battista received a Birthday Cake during the Latino Democratic Committee of Orange County Eighth Annual Fall Dinner Dance at the Meadowbrook in New Windsor, NY on Saturday, September 24, 2011. Hudson Valley Press/CHUCK STEWART, JR.